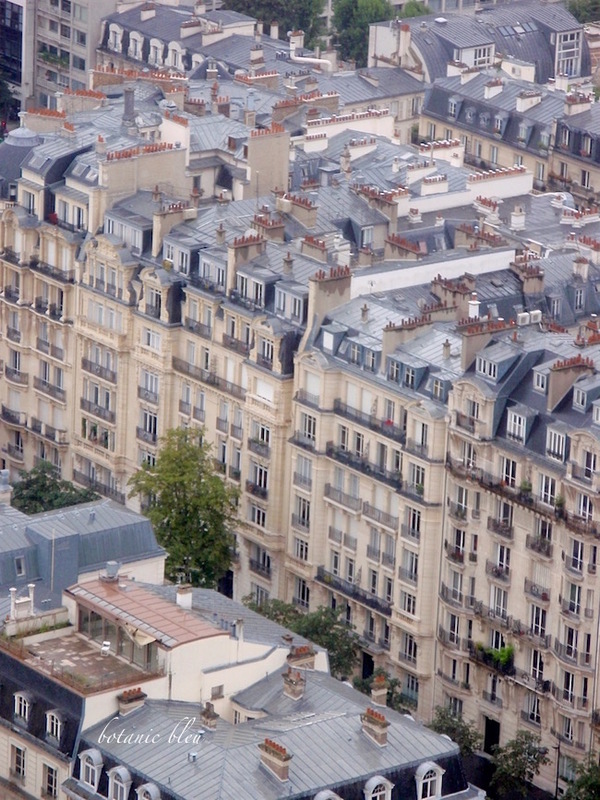 One of the distinguishing characteristics of the new modernized Paris (modern in 1853-1927) was the blocks of uniformly designed Haussmann Apartments. 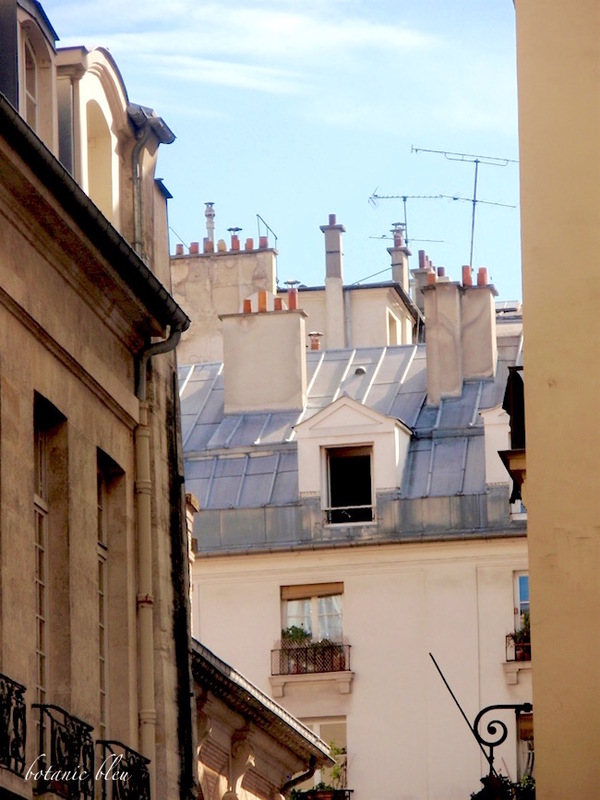 Take a stroll in Paris staring at the blue and white Haussmann Apartments for a study in French design. Businesses are typically located on the ground floor and apartments located on the higher floors. 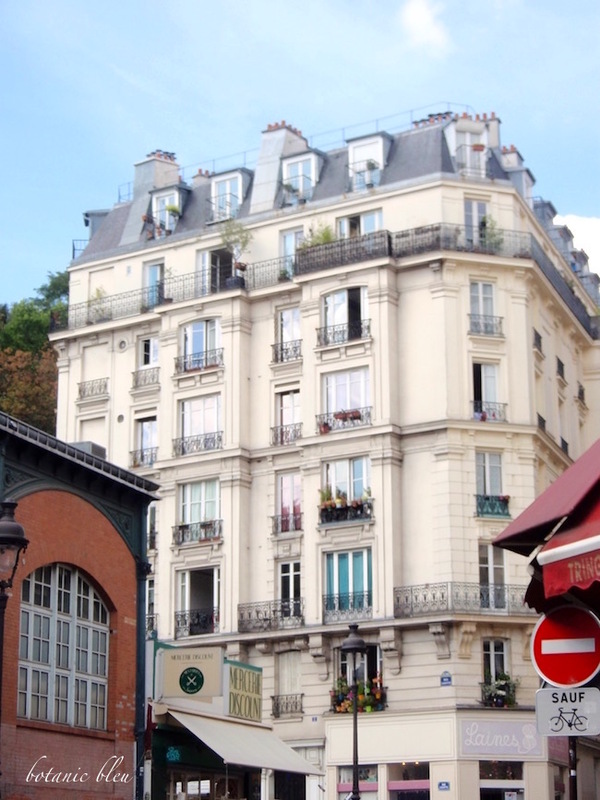 French doors, eyebrow arches, balconies with black wrought iron railings, and hip roofs are the norm for Paris apartment buildings. Building heights are uniform as are the general building façades. Look up high to see some beautiful differences... carved stone curvy pediment. Some of the blue-grey roofs are slate shingles and others are standing-seam metal panels. Ornate carved stonework makes your stroll turn into a pause while you stare at all the details on the balcony supports and building walls. Have you lost your way yet, or are you still following the directions to your destination? 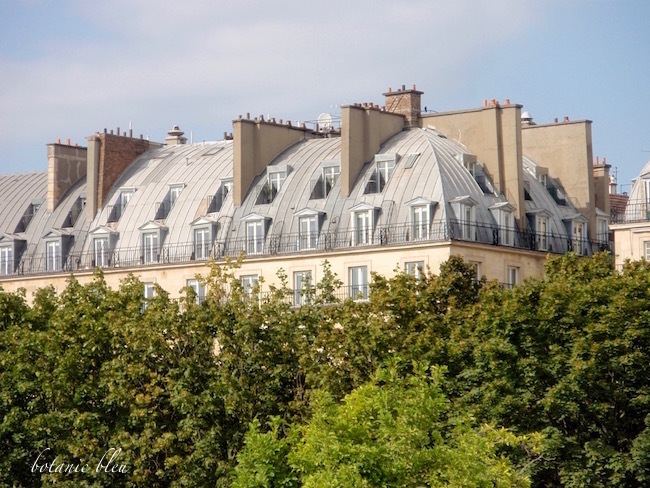 Expensive top floor apartments overlooking the Tuileries Gardens in the 1st arrondissement have curved standing seam metal roofs. 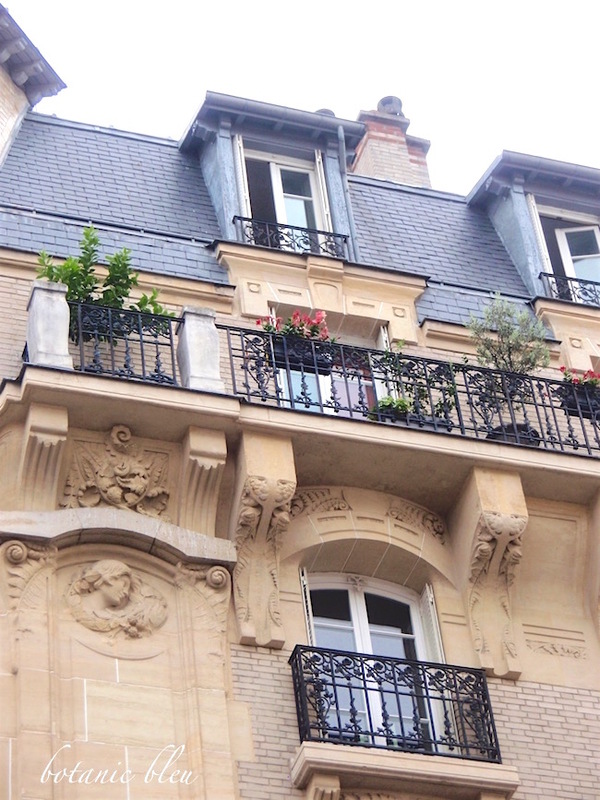 Does seeing the French design apartments from the outside make you want to see the inside of a luxury Paris apartment? Yes? 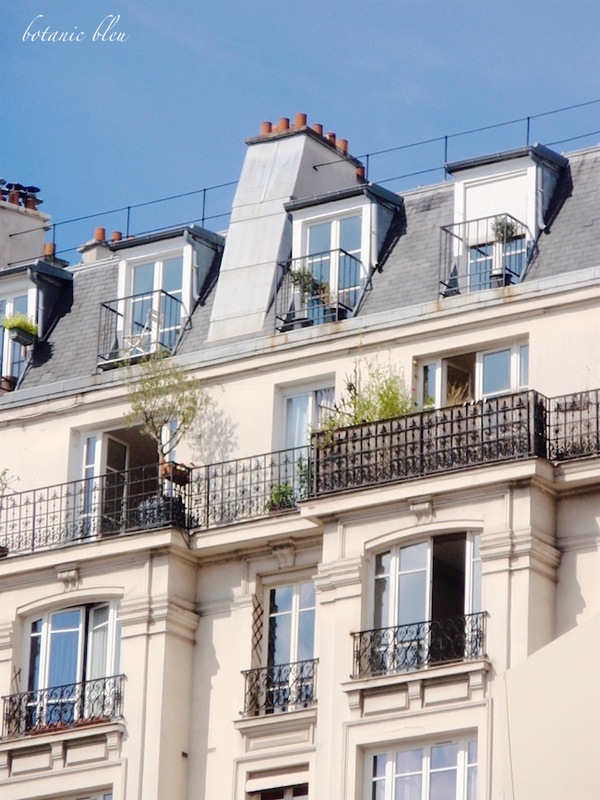 French Entree lists apartments for sale in Paris and currently has a luxury apartment with views of the Eiffel Tower for sale. Warning... you may need to win the lottery to afford it. Make that, win the MEGA lottery. A scratch-off ticket won't do it. For more French Country design, see my Pinterest board, French Country Design. 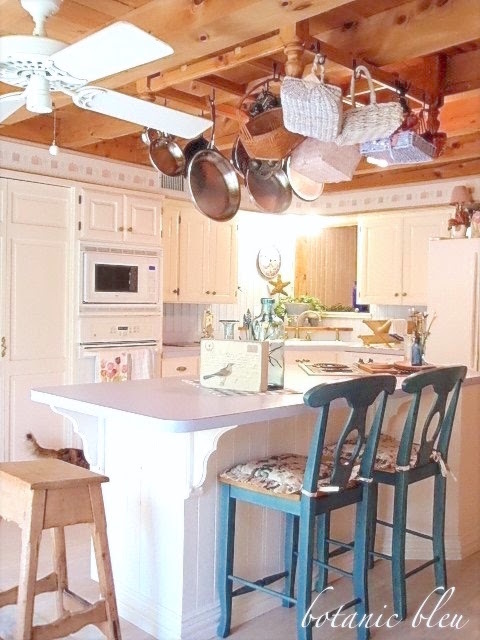 To see how I incorporated a little French design in my kitchen, see 8 Ways to Infuse French Elements Into A Kitchen. 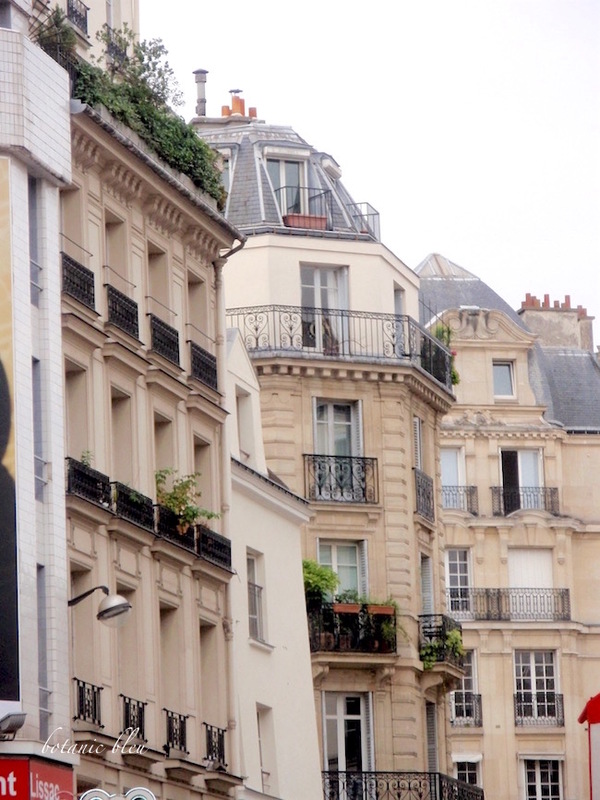 A Paris Haussmann apartment is much more formal than my kitchen, but seeing the beautiful architecture of Paris inspires me to look for ways to add more French touches to my house. Judith, this was a beautiful post. Makes me wish I had all your photos and descriptions in my hands so I could study them every day. Thank you for being my Tour Guide. Best to you, Pat. Thanks again for another beautiful post. I love your photos and special attention to detail that you share. Judith, the architecture of Paris is one of my favorite aspects of the city. I can walk for miles taking it all in. 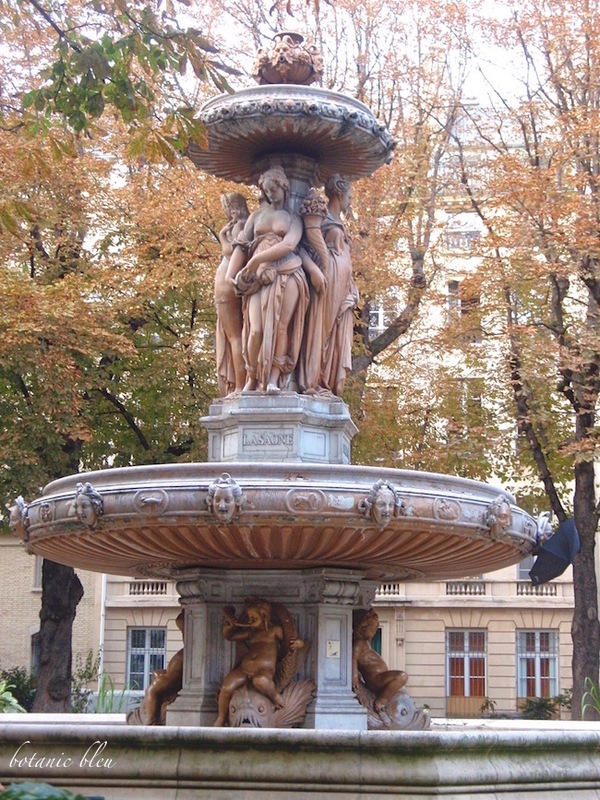 To me, Paris is the most interesting city to explore. I like to study the details of the doors, the ironwork, the various facades. Thanks for this most enjoyable post. Now I'm off to take a look inside those apartments. Happy Weekend! I enjoy reading your posts on Paris. You never fail to inspire me. Paris is the most beautiful city in the world. I've only been there once -- for about 3 days. It is definitely on my list of places that I want to visit again. Thanks for posting photos of the beautiful architecture.